Pininfarina and Vincent Bollore are working on the full-electric Pininfarina Bluecar. MILAN (Reuters) -- The family owners of Italian car designer and contract manufacturer Pininfarina S.p.A. have hired Italy's Banca Leonardo to sell their majority stake in the company, a company source said on Friday. The decision was taken at the company's board meeting on Wednesday, the source said. The sale of the 50.7 percent stake held by Pincar, the Pininfarina family company, was foreseen as part of a debt agreement with banks at end of 2008. "It is a commitment Pincar made with the banks. The family has no intention of leaving completely," the source said, adding that Pincar will no longer be a majority shareholder. Earlier this week, Pininfarina said Pincar had subscribed its 50.7 percent share of a 70 million euros capital increase. The increase attracted overall 55.6 percent take-up. The Pincar subscription to the rights issue was also part of the end-2008 agreement with banks, the source said. Various companies have been touted as possible partners for Pininfarina, which has designed stylish cars for Ferrari and Maserati. 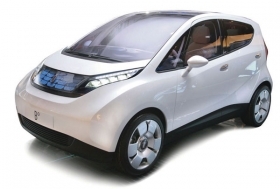 Pininfarina is working with French entrepreneur Vincent Bollore to develop an electric car. Bollore has said he will consider taking a Pininfarina stake. India's Tata Motors Ltd., already allied with Fiat S.p.A., had been mentioned as an investor last year. The source declined to comment on possible buyers, whether they would be industrial or financial, or on the timetable. If a rival took more than a third of Pininfarina's shares, it could put at risk its contract to April 2011 with Ford Motor Co. Pininfarinia builds the Ford Focus Coupe-Cabriolet at its plant in Bairo, near Turin, Italy. It also has a joint venture with Ford subsidiary Volvo Car Corp. to make the Volvo C70 at a plant in Uddevalla, Sweden.